You’ve just purchased advertising and you need to provide an image or have one created. How important is the creative and copy you use? Very! Whether you purchased an advertisement in print, or online, the visual aspect is very important, critical even. Especially, if you’re advertising online, you want something persuasive that will make them click! I mean, who wants to spend money on an ineffective ad?! When it comes to marketing, I can never stress consistency enough. The ultimate goal of strong branding is to characterize your business enough so that potential customers recognize it immediately. This means being consistent with a logo, color palate, taglines, fonts, and so on. When considering what image to use in your latest advertising campaign, be sure to take into consideration your branding efforts. When designing ads, be sure they look similar to your previous ones. Always incorporate standard elements of your brand; whether that is your logo, a photo of your store, or another familiar image. Oftentimes, it’s appropriate to use a product image in your advertisement. This is especially appropriate if you’re launching a new product line, or having a sale on specific items. You want your potential customers to SEE what you want them to buy. Consider using product images in your ads that are popular sellers. Use items that are visually attractive, colorful, and attention-grabbing. Always use your own product images, not stock photography or something similar to what you offer. You want to give an accurate, truthful picture of what customers can expect when they shop with you. In the world of memes, many images now also contain text. Should you advertise with an image that includes a written overlay? Possibly, as long it doesn’t detract from the image itself. Text should be legible and not too small. Possible options are including your business name, web address, or social media handle at the bottom of an image. This helps to tie your branding together. If you are going to include text, it should be minimal and not just a paragraph of words. Words like ‘buy now’, ‘sign-up’, and ‘get started’ can be attention-grabbing and might make a great call to action (CTA) with your image is placed correctly. When you glance at your ad you want to be able to quickly identify what it is you’re advertising. Always keep in mind the final size of your ad. If you are advertising in print, keep in mind that you’ll need to send a larger, high-resolution file. You don’t want your ad to appear pixilated or distorted. Graphic designers cannot fix a low resolution, poor quality image. Also, if your ad is smaller or will appear online, keep that in mind too. Don’t submit an image with a text overlay that won’t be able to be read in the final publication. And, if you use a product image in your ad, make sure it’s large enough to be visible. For instance, a 125 x 125-pixel button ad is a fairly standard online ad size. But, it is relatively small, too small for much text. You don’t want your ad to be difficult to read, or it will be passed right over because people won’t know what it’s trying to offer. You’ll want your online ad to load quickly and not bog down the website it’s placed on. So, online ads can and should be a lower resolution such as 72dpi. If you have questions, you can ask a designer for help, or be sure to ask your advertising venue for a proof before your ad is published publically. Now that you know what to include in your ad, the easiest way to make the advertisement is to hire a graphic designer. With these tips, you'll be able to clearly convey to your designer exactly what you want and need. Don't worry, if you're working on a shoestring budget you can take a stab at creating the advertisement yourself. Tools like Photoshop, Canva, and PicMonkey are affordable ways to create professional looking ads. Lastly, and maybe most importantly, follow instructions. Generally, when you purchase any type of ad, the publication will respond with the ad specifications. They will request specific sizes and sometimes certain file types or color formats. Always follow these instructions! Oftentimes sites or publications cannot or will not publish ads that do not meet their specifications. You will save a lot of time and headache if you submit correct materials the first time. If you don’t, you risk the chance of them publishing an ad that reflects poorly on your business. 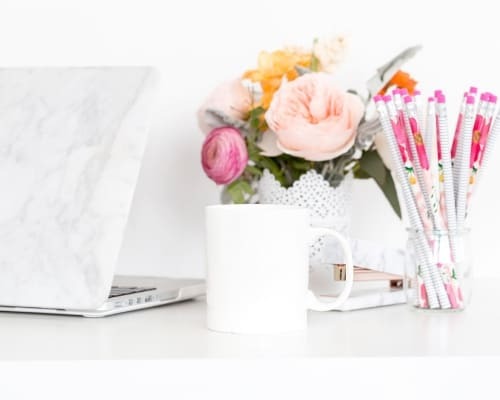 By taking the time to understand the important elements that go into an effective ad, you'll be able to make an advertisement for your business that looks professional and that generates more leads and sales for your business. 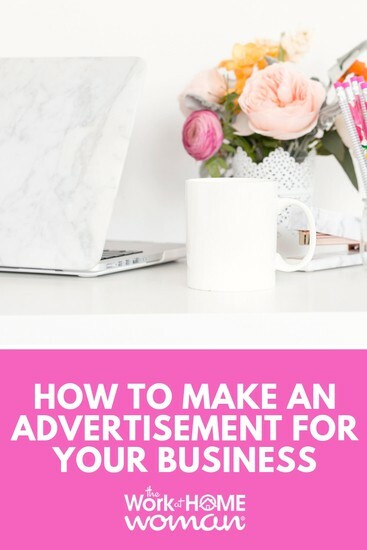 Have you made an advertisement for your business? What tips and tools do you recommend? Drop us a note; we'd love to hear from you! Originally published October 7, 2014. Content updated September 12, 2018. Purchasing an ad is not always the problem, most times it’s maximizing the effect of the ads that we often struggle with, I find that consistency with branding and creating a good sales copy works really great. Thank you for writing this, it is definitely helpful! Glad you enjoyed Dawn’s tips! At first, I lost a lot of money with publicity. But then I realized that the most important thing is writing, how persuasive you are. Yes, having persuasive copy is essential to a successful ad campaign.